Bluetooth. Shelf speaker. Soundbar. Stacks. 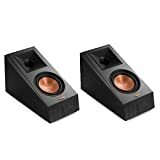 What are the best speakers for a house party? You could theoretically use an Amazon Echo Dot third-generation, but you're not going to get people pumped up unless you add some peripheries. The fact is that if you're going to throw a house party, you should invest in a good set of speakers. You're here because you want to throw one heck of a bash. You want a party that people will talk about for years to come. They'll reminisce fondly about it, saying "Remember that party so-and-so threw two years ago?" And while you may nail the decor and the food, everything depends on the music. Just like your favorite movie's soundtrack evokes emotions whenever you hear it, so too, will the soundtrack to your party. That's why you need the best speakers for a house party. Once you've got that, everything else will fall into place. Because your entire party depends on the music, it's important that you find the best speakers for a house party that you can. However, how do you know what to look for? The first thing you'll want to do is determine what kind of room your speakers will be in. If you have a tiny space, you don't want to overwhelm it with massive floor stacks. Likewise, a single tiny Bluetooth speaker isn't going to fill a large room with the kind of sound you want. You want to match the size of the speakers to the size of the space where your party will take place. Next, you need to figure out if you're going with wired speakers connected to an amplifier, or if Bluetooth speakers will do the job. If you're going with a set of wired speakers, you'll most likely want to run them through an amplifier to drive enough power into the speakers. This is measured in "ohms." A standard amplifier can easily handle 8 ohms, but if you buy 4-ohm or 6-ohm speakers, your amp is going to have trouble powering them. You also run the risk of blowing your speakers or shorting out your amp. Make sure you know how many ohms your amplifier can handle, and match your speakers to that. 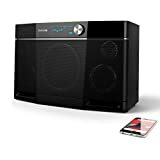 On the other hand, if you're going with Bluetooth speakers, you don't need to worry about amplifiers and wires and compatibility issues. 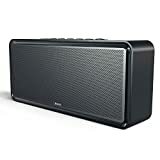 Bluetooth speakers today are high-quality and provide an excellent sound range. Best of all, you can DJ right from your smartphone with Bluetooth speakers. One thing you want to watch out for when buying Bluetooth speakers is that many of them are muffled, tinny, or overly bassy. Because they don't have an equalizer or amplifier, you're stuck with the built-in sound settings. For the best speakers for a house party, you need high-quality Bluetooth speakers. Once you know whether you're going with wired speakers or Bluetooth speakers, it's time to set some criteria. You want the best speakers for a house party that you can find. This means being picky. The first thing you want to be picky about is the speaker's sensitivity. This is the rating of how loud a speaker is per watt, measured in decibels. The lower the sensitivity, the more power it takes to get good volume out of them. You want something that is between 80 decibels per watt and 90 decibels per watt. That seems to be the sweet spot for home speakers. Also, you want speakers with a good range of sound. You don't want all-bass or all-treble. They should have a subwoofer and a tweeter, so you get both. Because we want you to throw the best house party your friends have ever seen, we set out to find the best speakers for a house party. We came across hundreds of different speakers. Many of them were too small or too ridiculously large, so we took them off the list. Then we applied our criteria to the rest. Anything that didn't meet what we were looking for got crossed off. Finally, we checked out customer reviews for the remaining speakers and deleted anything that didn't satisfy customers. What we were left with was a list of the best speakers for a house party. Although we found many speakers, not all of them were great, and only the best made our list. Note that we didn't list these speakers in any particular order. First up is the awesome Aiwa Exos-9 Bluetooth speaker. 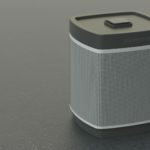 The speaker looks like it means business, with a large mesh face where you can barely make out the speaker drums. A smooth silver knob provides volume control, and a blue LED-lit interface keeps track of what's playing. There are 200 watts powering five speakers, including a large dual-driver subwoofer. What we really love is the built-in five-setting equalizer. Best of all, you can plug it in or run it on batteries. Customers love the sound, saying it is amazing, but others complain that connecting via Bluetooth is full of issues. 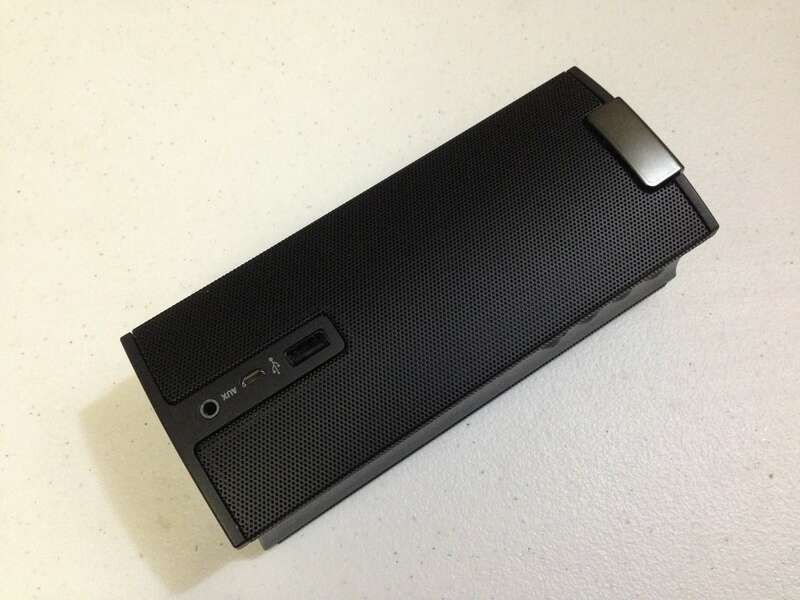 Next is another Bluetooth speaker. 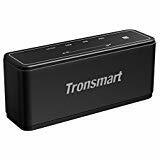 The Tronsmart 40-watt wireless speaker looks like a black brick with a mesh face. Despite its unimposing look, it is capable of 40 watts of power through a high-fidelity subwoofer and several tweeters. One thing you'll like is it has a massive 2,300 mAh rechargeable battery so that it can last up to 15 hours between charges. You can get a few of them and create a real surround-sound system for your party. Customers on Amazon rave about its long battery life and great sound quality. The only complaint was a bit of distortion at full volume. Again we have a Bluetooth speaker. The DOSS DS-1685 is a brick, much like the Tronsmart. 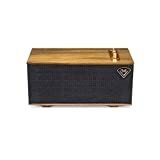 It has a 20-watt driver and a 12-watt subwoofer on a dedicated channel, so you get the effect of having a separate sub. We love the 96-decibel sensitivity rating of the speaker, which is close to that sweet spot we want to hit. If you get a couple, you can fill your room with beautiful sound. Praising the crystal-clear sound and the real bass that this speaker pumps out. Some people complained that it feels cheap and the Bluetooth drops often. Next, we have the Peachtree Audio deepblue3, which is yet another Bluetooth speaker. It's called a three-way speaker thanks to the three directions to which it can blast music. You'll find a huge subwoofer flanked by two drivers and two tweeters in this modern-looking machine. We love that it puts out a whopping 440 amps of power and has a built-in equalizer, so you can actually feel the thumping beats from this beast. Best of all, you can pair up to five other speakers with it, creating a real surround sound party. With high praise for its impressive sound quality and loudness, but with complaints about some distortion. 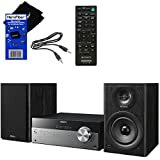 Here's a great wired surround sound system that's not only one of the best speakers for a house party, but also for watching movies. 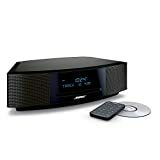 The Logitech Z906 is a wired entertainment surround sound system that peaks at 1,000 watts of power. The system consists of a massive 128-watt subwoofer and five separate satellite drivers. When set up in a circle around a room, you end up with club-quality room-shaking sound. Many people say the system sounds fantastic. A few complained that it broke after only a few months. Rockville is renown for their awesome audio quality. 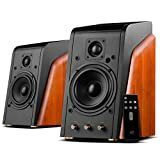 The company sits on the cutting edge of sound technology, and somehow they've created some of the best speakers for a house party in their Rockville RHB70 home theater speakers. You get an entire speaker system in one tower, complete with a 4-inch subwoofer and two 3-inch drivers. You can use Bluetooth or connect a 3.5-millimeter jack, or even play direct from USB or SD card. It has a brass or gold look, lending a party quality to the unit. With many people loving the high-quality sound it can pump out. Some complained that it's not stereo. Next are satellite overhead speakers to go with your subwoofer or soundbar. The Klipsch RP-500SA speakers look awesome suspended high up on your wall, and because they overhang and point downwards, they'll fill your space fully with sound. Or you can leave them laying flat, and they'll bounce sound off the ceiling, creating a surround-sound effect for everyone in the room. These are additions to other speakers, you'll want these only if you have something else already going. Customers say that the sound they put out is amazing. There were no complaints. Now we're back to Bluetooth speakers, and this time it's the powerful-looking Swans M200MKIII-plus bookshelf speakers. You should know that these speakers won a Consumer Electronics Show award. 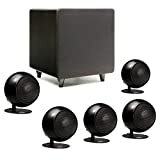 These are some of the best speakers for a house party because they're very loud, and they look awesome on top of that. We love the vintage speaker design, despite being 100-percent modern. Each speaker comes with a large subwoofer, a large driver, and a large mid-bass driver for an extra kick. Best of all, they put out 87 decibels, which is right where we want a speaker to be. People loved the sound as well as the premium construction quality. A few complained that after several hours of use, a loud buzzing sound occurs. The Orb Audio Mod1 Mini certainly lives up to its name thanks to the weird orb shapes of the satellite speakers. While you can use it as a home theater system, the Mod1 shines as a music speaker system, where the subwoofer does best. The orb satellites can fill even a large room with surround sound. You can't go wrong with this speaker system. Your guests will remember these as the best speakers for a house party that they've ever heard. On Amazon, customers called the sound quality "Awesome!" The only complaints were that the bass isn't powerful enough and is quickly drowned out by the drivers. Next is the Klipsch The One Bluetooth speaker. When it comes to unassuming, Klipsch nailed it with this speaker. It looks like something from the early sixties. This is a box with brass knobs and a wire mesh. The One takes its place on our list of the best speakers for a house party thanks to 103 decibels of sound pumped out by a 4-inch subwoofer and two high-frequency full-range drivers. Most customers agree that the sound is amazing and rich. However, some complained that the battery doesn't hold a charge for as long as they'd like. Sonos is at the cutting edge of sound and smarts. The Sonos Playbase compliments the company's futuristic lineup perfectly. You get full theater-quality sound in a single flat, rectangular shape. It's seriously slim and low-profile, yet has 10 speakers arrayed inside that fill the room with sound from all angles. 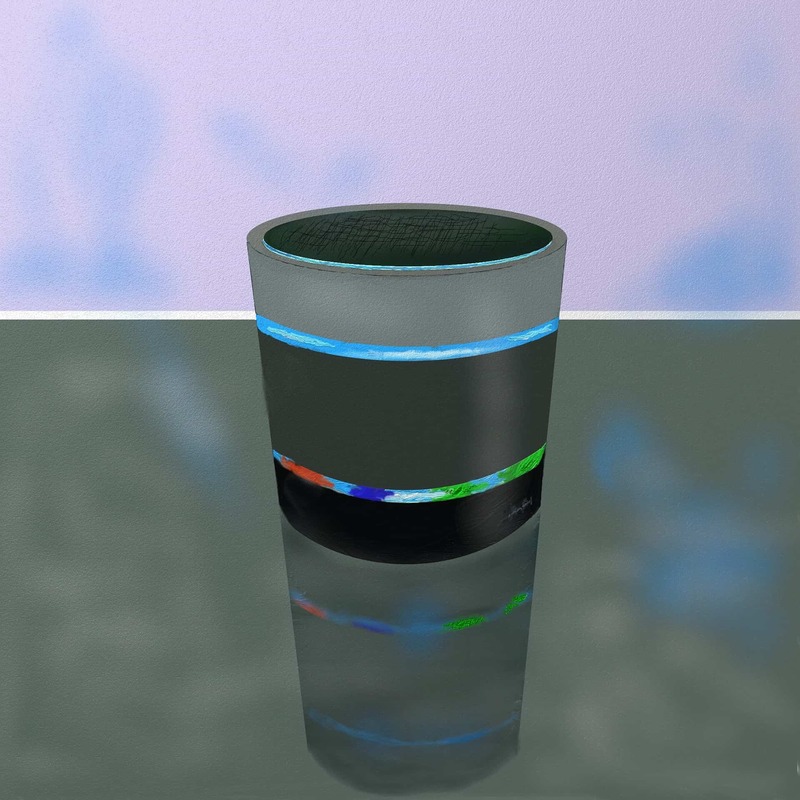 Because it can pair with Amazon Alexa, you can turn it into a smart speaker controlled by voice. You can also pair it with up to three other speakers. 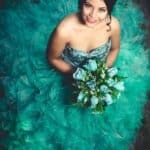 Everyone was blown away by the sound quality, and one man said that even his wife was impressed and nothing impresses her. However, many people complained that the Bluetooth connection drops too easily. Next up are some of the best speakers for a house party if you are sticking to one room. 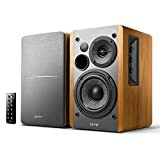 The Edifier R1280DB bookshelf speakers look beautiful with full wood grain and sound amazing too. With 85 decibel sensitivity, they're perfect for a living room. They include a subwoofer each, two drivers, and a silk-dome tweeter. You can connect via Bluetooth, or you can hook them up right to your amplifier, giving you the best of both worlds. Best of all is the two-year warranty included. People said they have fabulous sound quality that is extremely clear. Some people said the bass wasn't as loud or pounding as they would like. The Bose Wave Music System IV fills your room with rich music, thanks to Bose's signature wave technology. Somehow, Bose creates the impression of multiple surround-sound speakers using only one single speaker. The system requires connecting an MP3 player with a 3.5-millimeter jack, or you can buy a Bluetooth adapter. Once the party is over, you can use it as an alarm clock or hook it up to your TV for immersive movie-theater quality noise. Yo They said the sound was decent, but what people really loved was the way it fills the room with sound, which seems to come from all directions. On the other hand, many people said the design was outdated and due for a refresh. Next is a true stereo system from the one-time king of electronics. The Sony Micro stereo system has everything you need to get the party started. Two 50-watt speakers with a subwoofer and a driver each make plenty of noise, but it's the tuner that we love. The main tuner includes an equalizer and amplifier built right in, and you can connect to it with Bluetooth or even NFC (Near Field Communication), which is extremely useful if you're using an iPod or smartphone to DJ. Where customers said the sound quality is terrific. They also say you can go full volume without distortion thanks to the built-in amplifier. On the other hand, many customers said the speakers blow out after a few months of heavy use. Lastly, we have the Yamaha MCR-BO30BL micro-component system. The system looks small, but it fills your room with high-fidelity sound, thanks to the central tuner with an amplifier built right in. The speakers are unique in that they blast sound not only from the front but also the back, reflecting it off the wall to fill your room with noise. So you get bass right into your room, providing the rhythm, while the driver sends the trebles around everyone, creating a dance-club effect. You can use Bluetooth or plug your phone right into the unit via USB, which will also charge your phone. They said that the system provides an impressive balance of highs and lows, but people did complain that the bass was too distorted when listening to AM or FM radio. Trying to pick a favorite speaker out of all these speakers is difficult. The best speakers for a house party depends on the house it's going to be in. For a large room, we have to go with the Logitech Z906 5.1 Surround Sound Speaker System, because you can fill an entire room with sound. Of course, every satellite is wired, so you'll need to find a way to hide them. For a smaller room, we loved the Sony All in One Micro Stereo System, thanks to its versatile sound and the tuner. For true Bluetooth, the Swans Speakers-M200MKIII+ Bookshelf Speaker will meet all your needs, pumping out great sound and looking gorgeous at the same time. Which do you think are the best speakers for a house party? Let us know in the comments!